Stick with me, folks, this is going to be meandering, but I’ll hopefully reach some kind of point by the end! I think about crafting in games a lot. Part of that was designing a crafting system for an MMO that was seemingly well-loved by the small playerbase (which owed a lot to Brandes’ work on Fallen Earth and the crafting systems in Elder Scrolls and Star Wars Galaxies). Part of it is that I’m an avid hobbyist crafter myself (all available surfaces in my house are presently largely covered with miscellaneous resin and woodworking experiments as I try to get to the point I feel like I can make a resin river table without wasting hundreds of dollars of supplies). Part of it is that I just love to tinker on customization in games when I’m a player. This week, though, it’s because the Angry GM wrote a big article about crafting. Angry’s system is a pretty big advance on the common, afterthought D&D crafting system. After all, it’s very similar to my system for Pathfinder Online, and likely draws inspiration from the same sources (such as Elder Scrolls). But even if it’s interesting, I’m not sure it feels like crafting. Crafting systems (like those used in virtually every MMO) where you put one or more components into a recipe and get out a predefined item are basically just optional quests. If an NPC in town offered you a mission to collect five iron ingots and turn them in to him for a basic iron sword, that would have no difference other than fiction to “crafting” that same sword using a recipe that requires five iron ingots. The last MMO crafting system I remember feeling like it wasn’t just a quest was in Star Wars Galaxies (which was why it was an inspiration for PFO). But that worked by virtue of having lots of extremely granular and important stats such that minor variations in materials and skill could produce items with meaningful differences in use. That’s a hard enough sell in a video game (where your programmers don’t want each item in the game to be a complicated special case record and the other designers don’t want to make an extremely complex system just so items can have a bunch of things to adjust) and it’s an even harder sell in tabletop (where you don’t have a computer to run all these complex calculations for you). Angry is right that what a lot of players seem to want out of a crafting system is a way to customize their characters. I have some reservations about that, particularly in D&D, revolving around making found treasure seem less interesting because everyone just wants to have nothing but flavorless, specialized items. But I also don’t know that you need a crafting system to achieve it: players seem just as happy to turn over custom treasure coupons to the village blacksmith or guild quartermaster and get their items, independent of the fiction that they, themselves, are crafters. In my personal experience, particularly as a hobbyist, crafting is never like putting in a few items and getting a standardized result. While to a certain extent it is probably like that if you make the same thing repeatedly as a profession, my experience with people on reality shows and skilled crafters in real life is that even full-time creators are interested in opportunities to make something special and unpredictable. When you’re working at the edge of your skill, it’s a long fight with your materials to get them to make what’s in your head: sometimes it’s not as good as you hoped, and sometimes happy accidents make it even cooler. This means that, despite Angry’s reasoned points about it, some kind of randomness is probably essential to coming close to being “crafting” as opposed to quest (though Ars Magica makes a good argument that you can do something interesting as a between game system… by virtue of, like Star Wars Galaxies, having a lot of complexity). And I did a one-off crafting system in my Beyond the Wall game where a PC had one shot at making a cool magic weapon and made a lot of rolls, testing multiple traits, to find out just how cool, so I don’t think it’s a foregone conclusion that one PC making gear has to be boring and time-consuming at the table. But randomness isn’t enough. The randomness, like most randomness in RPGs, is largely about capturing the variations in skill, circumstances, and focus that can’t be measured at the level of granularity most games sit at. When one of my resin projects doesn’t go the way I want, it’s not really random so much as my lack of complete understanding of the chemistry and problems with the environmental conditions (turns out there’s a reason serious resin-crafters invest in a vacuum chamber…). What really makes things feel like crafting is watching as raw materials become finished product one step at a time. I… may have spent a lot of time this weekend making this and have boxes on the brain. You have to measure out all the boards carefully, and cut them to size. Minor variations in measuring, starting board standardization, and tool precision can make things not line up, having you sanding furiously just to keep there from being obvious gaps when you’re done. You have to fasten and/or glue everything together. Even if you cut the pieces exactly right, it can be challenging to get corners at exact angles and joints pushed closely together. There is a lot of clamping and waiting involved. And if you get glue that leaks into the inside of a corner, it can be really annoying to sand out later. You have to sand down the whole thing and do any detailing you want to make it look interesting, and getting impatient can result in accidentally adding flaws that you then have to sand even harder to get out. If you’re going to add paint, stain, varnish, or other protective finish, you have to figure out how to apply it evenly and keep it from pooling up due to gravity. You have to apply hinges and fasteners. At this point, any imperfections in the alignment of your pieces becomes really obvious when it’s hard to get the hinges to bend straight. And if you made a small box, trying to add fasteners can wind up splitting the wood and ruining everything at the last second. And that’s one of the simplest things you can make. Once you’ve made a few, at each stage you start to get a sense of how it’s going. Early successes can lead to later despair as you make an error at the last second and ruin what was shaping up to be a really good piece. Early failures might be something you power through, something that causes you to adjust your final plan/expectations, or something that causes you to cut your losses and scrap the project entirely. Does every crafting system in an RPG need to be multiple stages heavily informed by simulation? Not necessarily, but there is probably some juice in breaking it up into increments to increase anticipation. Each stage could carry over a modifier to the next stage based on how well it went, or grant a fraction of the final score that will be used to judge how good the final result is. Either way, it means multiple rolls, which is often a good way to bend dice luck towards the average (whereas one-roll systems make extreme results happen a lot of the time). It will vary from game system to game system and crafting type to crafting type how you capture the thrill of a stage turning out better than you hoped or the pain of deciding to make due with a mistake and continue forward. You might even save this for the really big projects (like how Fallen Earth had vehicle crafting happen in stages). Ultimately, as Angry points out, if what your players want is a system to customize their gear loadout and you want something that’s not a distraction at the table, a recipe-based “quest” system is a fine solution. But if you want to capture the feel of actually doing crafting, I believe you have to capture the variability and sensation of chasing a masterpiece. Only cooking and baking really use recipes anyway, and there’s a reason (other than not being able to taste it at home) why cooking shows spend hardly any time on “mixing together the recipe” and so much on all the parts that aren’t the recipe. There’s so much there there, when it comes to crafting, it seems a shame to relegate it to mixing A, B, and C to get an item off the gear list. 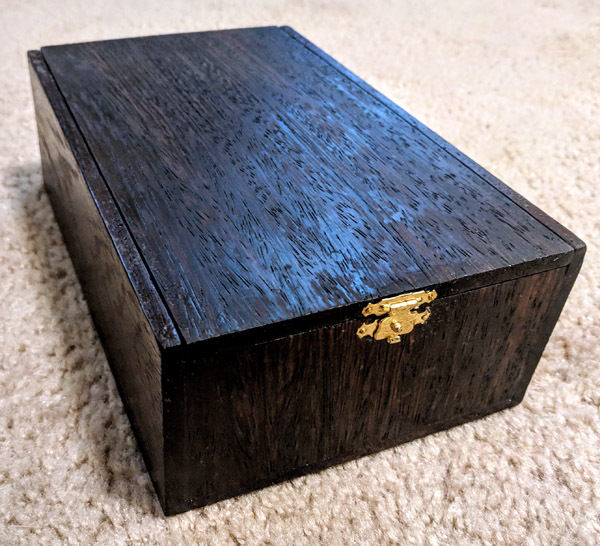 I hadn’t gotten deep enough into running 5e until recently to really look that hard into the treasure system and was surprised to find that it’s extremely loose. For many that’s a feature, but if you’re like me and run games suffering under a constant anxiety that you’re giving out way more or less treasure than the system actually expects, this may help. This thread’s breakdown of how many magic items each PC is likely to accrue over a career. The expected cash per PC in a shared campaign from page 174 of Xanathar’s. This homebrew’s valuation of individual items compared to the DMG treasure tables. Xanathar’s suggests that PCs acquire around 75 gp per level at tier 1, 150 gp per level at tier 2, 550 gp per level at tier 3, and 5,500 gp per level at tier 4. This means that a PC has acquired around 26,000 gp in cash upon reaching 20th level. Meanwhile, the magic item accrual with arbitrary values from within the correct range suggests around 135,000 gp worth of magic items by 20th level. The total value of a 20th level character could be around 160,000 gp. That is conveniently really close to half of the earned XP by that point. Place about 1 gp worth of treasure for every 2 xp you place. I’d suggest doing this as broadly as possible, rather than per encounter. Total up all the XP possible in a dungeon, or even a whole scenario, divide by 2, and then use that as your budget for placing treasure. Individual encounters may have pocket change, while most of the loot is in hoards in places that make sense, just like the DMG suggests. Importantly, this gives you more budget for buying rolls on the treasure tables. Whatever’s left over goes into items. You can spend this directly to buy items and place them as appropriate. But if you want to roll randomly using the treasure tables, you can use the following breakdown. For example, a roll on table C uses up 1,200 gp of your budget (which is the approximate average value of results on the table) and should make up around 15% of the treasure tables you give out at tier 2. Table H and I are pretty spendy, due to having extremely valuable items on them. One roll on them could make up a substantial amount of the treasure awarded, even at high level. This is part of why the overall level ramps backload a lot of the treasure value toward very high level. I’d suggest just giving out a bit more treasure at high level, and a lot more if you go past 20 (but, then, if you’re planning to run a campaign that will be 20th level for more than a minute, I assume all balance concerns go out the window at that point anyway). Back in my Separch’s Tower series, I included elemental-themed spellbooks, and found out that the existing spells and rituals in Beyond the Wall didn’t have enough appropriate magic to cover an equivalent range of options for each of the four elemental schools, so I grabbed some placeholders from the 5e spell list. Last night, my players actually started learning those spells, so I had to finally convert them to Beyond the Wall‘s style. It’s interesting to convert the standard D&D magic mindset (everything is leveled and usually pretty instantaneous to cast) to the BtW mindset (quick-cast magics aren’t leveled, while leveled magics take hours to cast so need to make sense in that context). The caster produces a bolt of glowing green acid and flings it at a target, who must attempt a saving throw to dodge the caustic missile. If the save is failed, the target takes 2d4 acid damage, plus an additional 2d4 damage at the end of each of its turns while the duration lasts. With but a word, the mage teleports to a location she can see within range, leaving behind a burst of silvery mist in the location she vacated. This spell may be cast on a turn in which the mage has takes another action (except casting another spell). The mage creates a ray of flames that streaks between her outstretched hand and a target within range, against whom the caster must make a ranged attack (which ignores physical armor). If the attack hits, the ray deals 2d6 fire damage to the target. The caster produces one additional ray per 3 levels, and may direct these additional rays at the same or different targets (each ray is its own attack roll). The caster causes an intense and painful ringing noise to erupt from a point she designates, causing damage to targets within 10 feet of the point (and making noise that can be heard for quite some distance further). All creatures and inflexible objects close enough to take damage must make a saving throw to steel themselves against the sound, and creatures and items made from brittle materials automatically fail the save. The spell deals 2d4 sonic damage, increasing by a die size for each additional level of the caster up to 2d12 for level 5 casters, and then adding +2 damage for each additional level of the caster past 5th. Targets that successfully save take half damage. This ritual allows the caster to summon a palm full of elemental flame. It casts light as a torch, and can ignite touched objects like a torch when the caster desires (but does not otherwise harm touched or held items). While the ritual persists, the caster may make unarmed attacks that do an additional 1d4 fire damage, or make a ranged attack up to Near range that does 1d4 fire damage (and does not add or subtract damage from Strength). The flame is not consumed by making such a ranged attack. A mage wanting to cast this ritual must begin with a handful of ashes made from exotic wood that was burned by a fire elemental (which may be found for an average of 10 silver pieces from a merchant). Inscribing her flesh with runes of retribution and fire, a mage uses this ritual to prepare punishment for any that assault her. Upon taking damage from an attack made by a target within Near range that the mage can see, she may instantly speak a command to end the ritual and rebuke the attacker, the runes upon her skin immediately burning away. The attacker must make a saving throw to dodge the burst of flames at his location, or suffer 2d10 fire damage. The runes scribed during this ritual require the blood (or equivalent essence) of a creature that is immune to fire (which may be found for an average of 50 silver pieces from a merchant). The caster may only have one instance of this ritual active at any given time. The mage walks a straight line, chanting and casting ritual materials upon the ground, preparing the site for defense. Once the ritual is complete, the caster has prepared a line (both ends of which must be within Near range of one another) to rise up upon her command. Upon uttering this command from within Near range of the line, a furious torrent of wind spews vertically from the ground along the length of the line and up to sixty feet in the air, for as long as the caster maintains concentration. Anyone caught in the line or attempting to cross it must make a saving throw to fling themselves through without being caught in the wind. Those that fail are flung high into the air, likely taking damage from falling back on the side from which they started (medium-sized creatures are flung around 30 feet into the air, and comparatively lighter or heavier creatures may be flung more or less distance). Flying creatures of smaller than medium-sized and projectiles lighter than from a siege engine are automatically deflected harmlessly when attempting to pass through the wall, and gasses or gaseous creatures cannot pass through. Boulders and similar siege projectiles may pass through, but are likely to have reduced accuracy. The ritual materials include various easily-found objects ground into powder, but they must be mixed with the physical remains of creatures or items strongly tied to elemental air (which may be found for an average of 100 sp from a merchant). Through long casting and chants, the mage uses this ritual to create a small but stable hole deep into a realm of elemental fire, resulting in a self-renewing bonfire as heat and flame erupt forth in all directions. As part of her own movement, the caster may mentally direct this hole (and thus the flaming sphere) to move at up to walking pace, but the ritual ends if the mage exceeds Near range to the effect, and it must remain within five feet of the ground (and ends instantly if directed to try to cross water that it cannot boil away). The sphere easily ignites touched or nearby flammable objects as if a five-foot diameter bonfire had rolled over them, and is otherwise treated as a hot bonfire (e.g., for cooking). If the fire is directed onto a target, that individual may make a saving throw to dodge out of the way and takes 2d6 fire damage on a failure. Any creature that ends a turn touching the flame similarly takes 2d6 fire damage. This ritual is surprisingly easy to cast, requiring only a ritual space and a very hot bonfire made of normal materials to “prime” the connection to the plane of fire. Blessing each of her companions in turn, the mage imbues them with the ability to breathe water as easily as air. The caster may affect all of her companions, including herself, that she can touch upon completing the ritual (up to a dozen individuals). Each affected character may breathe water for the duration of the ritual. In the casting of the ritual, the mage must sacrifice a healthy wild animal for each target to be affected by drowning it in the body of water that is to be breathed. Upon completing this ritual, the mage touches an object made of metal. This object and any attached metal objects (up to a ton of contiguous metal) instantly heats to the temperature needed to forge steel (over 2000 degrees Fahrenheit). Most metals bend easily at this temperature, though it may not be safe to get close to a sufficiently large volume of metal (such as a gate or door). Any creature in contact or extremely close proximity with the metal takes fire damage at the end of each of its turns based on the degree of exposure (1d6 for a single hand, arm, or leg, up to 4d6 if encased in heated plate armor). There is no saving throw to avoid the damage, though it may require an attack roll to touch a mobile target (in addition to the target waiting for the casting of the ritual), and depending on the type of exposure the target may be allowed an ability check to escape the metal quickly. Constructs made of metal may not take damage from the effect, depending on their normal reaction to fire, but will certainly lose all armor class gained from rigid skin until they cool off. This ritual requires the caster to undergo an ordeal of burning for the duration of the casting, taking 1d6 fire damage per hour of the casting. In times of crisis, heroes can accumulate great functional skill and power extremely quickly. There’s little time to think, only time to act, limitations falling again and again without the indulgence of hesitation. The gods look on from the great beyond, subtly lending their weight to their champions and granting them access to magics beyond what should be possible, and insights into the universe that would normally take years to understand. Yet when the crisis ends, there comes a crash. Just like a surge of adrenaline in a fight, you can blow past your limits for a time, but you cannot keep it up indefinitely. Inevitably, the crisis is averted, the constant fear and stress abates, and the gods turn their wills upon another area of the cosmos. The heroes take a much-needed rest, and find much of their monumental power quickly slipping away. Not long after their victory, they remain more powerful than they were when they started, but not nearly as powerful as they were when they faced their primary antagonist. In short, they can go on more adventure paths without being massively overleveled. I’m not the biggest fan of the speed of leveling in D&D, particularly since 3e. If I recall correctly, 3e assumed about 13 average encounters per level, of which you could handle around four per day: around two months of constant action to hit 20th level from 1st. 5e is even faster: if you consistently hit the expected XP per adventuring day on page 82 of the DMG, it takes 23 days to get to 20th. Combined with the consistent deprioritization of downtime, this means that most campaigns can race to high level very quickly in world time. Obviously in real time this is probably multiple years of play, and the numbers were chosen for maximum fun. But it’s still weird. Most of the settings of D&D have the assumption that high-level NPCs took most of their lives to get there, but all the players ever see is their teenage PCs consistently becoming movers and shakers while still teenagers. So something that brings setting assumptions in line with played experience has been a quest of mine for a while. This is also not just a D&D problem. In Brandes’ Mage: the Awakening game, we had some problems with XP expenditures. Particularly, the game didn’t stop us from just dumping nearly all of our XP into upping gnosis and primary arts, so we were very quickly able to go toe-to-toe with what were meant to be the biggest threats of the setting. The strongest mages in the setting books had a much more robust array of character traits, with high values in multiple abilities and powers, but PCs can go a long way when all they have is a giant hammer looking to figure out how to make every problem a nail. One of the solutions Brandes and I brainstormed after the campaign ended was the seed of this post’s idea: mage PCs could only buy gnosis and arts with per-session XP, but periodically most of this XP would be ejected from these powers and spent on other character traits, resetting the powers to a more reasonable level. Ultimately, this mechanism lets you give the PCs a rush to great power, but also a longer term play that lets them go through multiple adventure paths and gradually grow into characters with a lasting integration with the setting. Normally, if you want to both keep your PCs and play published adventure paths with minimal tinkering, you have a big problem. Paizo and WotC mostly make adventure paths that start at 1st level and go to the mid-teens. If you finish one of them and want to do another, you’re going to have to either re-stat everything to higher level or just assume that they’re going to blow through most of the first several books with no challenge. At best, if you prepare early you can slow down level progression and alternate between similarly-leveled modules in multiple adventure paths (straining your creativity to explain why the plot jumps around so much). However, the trick of D&D‘s XP progression is that it’s geometric: you can start out significantly more powerful than the path intends, but it doesn’t take long before you’re only slightly higher level than expected. If you start at 6th level instead of 1st, by the time the modules expect you to be 10th level… you’ll be 10th level. Admittedly, you’ll hit 11th significantly sooner than intended, but you’re still within one level of what is expected. 5e doesn’t have the truly expansive differences in level at the high end that earlier editions did, but even if you started at 10th, you wouldn’t hit 20th level until the modules expected you to be nearly 18th level. This means that you can leave the PCs with some sense of progression: they aren’t as high level as they were at the end of the last AP, but they’re still higher level than they were when they started it, and they get to keep their best magic items. Figure out what level the PCs are likely to end the first AP at, and at which level you’re comfortable with them starting the second path. Divide the first path’s max XP by the second path’s starting XP. That’s your ongoing divisor to generate each PC’s “true” level. For example, in my game they ended the first AP at 17th level, and I wanted them to start the next at 6th. 17th is 225,000 and 6th is 14,000. That means that there’s an approximate divisor of 16. With 225k XP at the end, the PCs’ “true” level was based on 225k/16 (a little over 14k) XP, and, thus, 6th level. During subsequent APs, level the PCs up normally from whatever level they got reset to (e.g., if they started it at 6th, act like they started with 14k XP and it’s 9k XP to 7th). Then at the end of the AP, remember what effective XP total they started the current AP at and subtract that out when you recalculate their true total at the end of the path. In the 17th to 6th example, if they ended the second path at 239k effective XP, you know that that was another 225k after removing the initial 14k, so they have 450k total (e.g., now at true level of 7th based on that 450k/16 = ~28k). Could you also just have the PCs start a level higher each subsequent AP and not have to do all the math? Yes. But a lot of players are happier if they know there’s some kind of objective calculation going on in the background (even if you deliberately fiddled with the calculation to get the results you wanted, which was basically an extra level per AP). The PCs get to keep at least three of their favorite pieces of gear they had at the end of the last AP. Assume the rest got sold for investment capital or given to a museum. In 5e, this is very easy to manage because many PCs are only going to care about their three pieces of attuned gear anyway. Give them an arbitrary amount of starting cash: the rest got spent on living through the downtime, and possibly spent on investments (in most APs, it really doesn’t make a difference if the PCs are building up impenetrably fortified home bases, since they’re traveling around wherever the adventure needs them). Each time through, consider giving the PCs an option to rebuild their character slightly stronger. I’m giving my players an extra point-buy point and/or bonus feat/stat improvement, and also letting them rearrange class ability choices and multiclassing based on their updated conception of the character (rather than just resetting them directly back to what their sheet was when they were that level the first time). If I was still running in Pathfinder, I’d consider gradually opening up expanded class options, lowering entry requirements for prestige classes, or tacking on mythic levels. In setting, the PCs’ accomplishments weren’t undone. They still have the fame/notoriety earned, even if they can’t still back it up with high-level spells and abilities. While if an NPC asked, they might not be able to take out a dragon like they could before, since subsequent APs are going to ask them to handle only low-level threats for a while, they’ll probably still feel like pretty big damn heroes for a long time. 6th level characters go through goblins at a hell of a clip. One fun synergy of this system is that it makes the retired adventurer NPCs make a hell of a lot more sense. Modules are full of post-arrow-to-the-knee characters that supposedly adventured for years and yet are within a couple of levels of wherever the PCs are expected to be at that point. It’s likely because if they were genuinely high level, the players would be like, “if the barkeep is a 14th level Fighter, why doesn’t he just go clear out the mines of kobolds?” But it further strains suspension of disbelief in many cases. However, under this system, it actually makes perfect sense. These characters never shot up to high level like the PCs did, because they never dealt with a world-threatening crisis: their “true” level and effective level were usually really close. It takes a lot longer to get to hundreds of thousands of XP when you’re only fighting low-level stuff. Those 4th-8th level barkeeps that used to be adventurers could have had many years of dealing with small-time local problems to get to that point, and feel fully justified in their retirements. In 5e, the owl is often way more attractive than other familiars: between high-speed flight, darkvision, and flyby, it’s just really good at all the things you mostly want a familiar to be good at. I put the following together to try to level the playing field a bit, such that a player wanting to take a different animal as a familiar for roleplaying reasons won’t feel like it’s a bad mechanical choice. It’s up to you whether you want all versions of the animal to have these abilities, but it’s definitely intended to be something that a familiar version of it gets. Night Flier: The bat has advantage on Dexterity (Stealth) checks and attack rolls (to deliver touch spells) at night in dim light or darkness. Attackers have disadvantage on opportunity attacks against the bat in these circumstances. Nimble Escape: The cat can take the Disengage or Hide action as a bonus action on each of its turns. Big Claw, Little Claw: The crab may reroll a failed attack roll to deliver a touch spell, and may take the Help action as a bonus action on each of its turns (allowing it to effectively Help on two attacks per round). Pack Tactics: When the dog delivers touch spells, it has advantage on its attack roll if at least one of its allies is within 5 feet of the creature and the ally isn’t incapacitated. Fierce Protector: While taking a short or long rest, if the dog succeeds at its Wisdom (Perception) check to notice an approaching threat, none of the rest of the party can be surprised. Lashing Tongue: The frog has 10 foot reach for delivering touch spells. Hopping Defense: The frog may take the Dodge action as a bonus action on each of its turns. Swift Striker: The hawk may take the Dash action as a bonus action on each of its turns, and has advantage when delivering touch spells during any turn in which it’s used the Dash action. Detachable Tail: When the lizard is reduced to 0 hit points but not killed outright, it can drop to 1 hit point instead. It can’t use this feature again until it finishes a long rest. Clever Tentacles: An octopus can manipulate an item for its master with as much or more dexterity than human hands. When within 5 feet, it may grant the Help action on any of its master’s actions involving manual dexterity. The owl is already really good. Venomous Delivery: When the snake successfully delivers a touch spell, it can also inject venom if the master desires. The target must make a DC 10 Constitution saving throw or take 2d4 poison damage. Streetwise: When inside a city, town, or building, the rat may take the Disengage or Hide action as a bonus action on each of its turns. They’re Everywhere: When it is reduced to 0 hit points by a ranged attack within an area that has other rats, it is instead missed (the attack killed a different rat). The rat may only use this ability once per day in the same location (approximately within the same 100 feet). Gregarious: In any location that has other crows or ravens, the raven exchanges gossip with others of its kind. The raven automatically becomes aware of threats the corvids know about, and can take 1d4 hours to make a Wisdom (Perception) check to discover more specific information for its master. The DC of the check depends on how easy it would be for local corvids to uncover the information. Surprising Speed: The sea horse can take the Dash, Disengage, or Dodge action as a bonus action on each of its turns. Patient: If it is not moving, the spider gains advantage on Dexterity (Stealth) checks to hide. Venomous Delivery: When the spider delivers a touch spell, it can also inject venom if the master desires. The target must make a DC 9 Constitution saving throw or take 1d4 poison damage. Nimble Escape: The weasel can take the Disengage or Hide action as a bonus action on each of its turns. Weasel’s Intuition: The weasel can Help its master with Charisma (Deception) checks if it is within 5 feet. I converted a bunch of the gear my players had at the end of Rise of the Runelords for… reasons that may become apparent if I actually run the followup campaign I think I’m running soon. You gain a +1 bonus to attack and damage rolls with this silvered, magic weapon. It deals an additional 1d6 Radiant damage to Fiends. On a critical hit against a Fiend, you may immediately cast Banishment on that target as a bonus action with no components (the saving throw DC is based on your Charisma). Servants of Lamashtu have disadvantage on this saving throw. This sword was an ancient human relic that was found by the goblin hero Koruvus and kept by him when he was corrupted by Lamashtu cultists. It was later wielded by a Varisian hero that used it to slay many fiends, awakening its nascent hatred of the breed. It glows in the presence of fiends and servants of Lamashtu, and stokes the wielder’s distaste for these targets. You gain a +2 bonus to attack and damage rolls with this adamantine, magic weapon. When you use an action to accuse a target that you can see of a crime, the blade ignites with cold blue flames that shed bright light in a 10-foot radius and dim light for an additional 10 feet. You must genuinely believe the target is guilty of the declared crimes, and that they are sufficient to demand maiming or death, or the flames will not ignite. The target gains an empathic sense of what she is being accused of, even if she does not understand the language you use to speak the crimes. While the flames are active, the sword does an extra 2d6 radiant damage to this accused target. The flames go out after a single hit to the target if she truly believes herself to be innocent of the declared crimes. They also end upon killing the target, or when the blade is sheathed. You cannot strike to incapacitate when the flames are active: when a target is defeated by a strike from the blade, that defeat almost always means death. If the target has been officially sentenced for the crimes you accuse her of, and that sentence carries the death penalty, damage from the blade ignores any of the target’s damage resistances and immunities. This sword was originally created by the church of Aroden, passed to the Order of the Crux after His death, and was taken by the Order of the Scourge in the Chelish Civil War. It bears the eye of Aroden on its hilt. It may have a role yet to play in the saga of Aroden. The wielder always feels a vague sense of loss at the death of Aroden, or perhaps due to the fact that the sword bore other powers before His death that are no longer capable of being accessed through attunement. You gain a +1 bonus to attack and damage rolls with this adamantine, magic weapon. You can cause it to become sheathed in barely-visible electricity; when active, whenever you hit with an attack, the target takes an extra 1d6 lightning damage. This electricity’s glow is not sufficient to cast visible light, but it extends the range of Darkvision by an additional 10 feet for anyone that has Darkvision and is within 10 feet of you. This sword has a mostly-dormant Runeforged Sadistic enchantment. When you critically hit with an attack made with this weapon, any target currently protected by an Abjuration effect must make a Constitution saving throw (against a DC of 8 + Your Proficiency Bonus + Your Charisma Modifier) or be Stunned until the end of your next turn. Crafted by a Shoanti mage for a Gnomish hero, the weapon may gain additional powers as it is used for greater deeds. You gain a +1 bonus to attack and damage rolls with this adamantine, magic weapon. You can cause it to become sheathed in flickering shadows; when active, whenever you hit with an attack, the target takes an extra 1d6 thunder damage. This doesn’t make any sound, as it actually absorbs the noise of its impact, and the target is momentarily silenced while touching the blade (this is sufficient to muffle any screams from the blow, but not to prolong inability to communicate or cast spells). The shadowy flickering of the blade allows you a retroactive feint: if you miss with all attacks made with the weapon this turn, you regain the action used to make the attacks. You cannot use the regained action to make attacks (but may use it for other actions in combat). You gain a +1 bonus to attack and damage rolls with this magic weapon. You can cause any ammunition it releases to be sheathed in coruscating energy; when active, whenever you hit with an attack, the target takes an extra 1d6 damage. All damage from the attack is treated as Piercing, Lightning, or Radiant, depending on which would do the most damage to the target. When you critically hit with an attack made by this weapon, the target is Blinded until the end of your next turn. This bow has a mostly-dormant Runeforged Dominant enchantment. When you critically hit with an attack made with this weapon, any target that is a Transmuter wizard or has the Shapechanger trait must make a Constitution saving throw (against a DC of 8 + Your Proficiency Bonus + Your Charisma Modifier) or be Paralyzed until the end of your next turn. Crafted by a Shoanti mage for a Varisian hero, the weapon may gain additional powers as it is used for greater deeds. This wide belt is made of a chain mesh of a variety of precious metals, each large link scribed with subtle runes of speed, strength, and health. The belt has 8 charges. While wearing it, you can use an action to expend 1 or more of its charges to cast one of the following spells from it with yourself as the target: Cure Wounds (1 charge), False Life (1 charge), Enhance Ability (2 charges), Lesser Restoration (2 charges), Protection from Poison (2 charges). You may spend an additional charge when casting a spell from the belt to gain advantage on rolls to maintain Concentration. The belt regains 1d6 expended charges daily. There is no ill effect for exhausting its available charges (though you cannot spend more charges than it currently possesses). This belt is actually created by ancient, giant-sized creatures, for whom it was meant as a gorget, and is too large to serve as even a belt for small creatures or medium-sized creatures with narrow hips. The runes are foreign to the magic of Avistan, looking vaguely Tien in construction, and it is likely that this was ornamental war regalia for a powerful creature whose inheritors may want it back. The wearer can understand Tien speech, but not speak it, and can detect the presence of nearby Kami as an incessant, inarticulate whispering. The links regularly exchange positions when not being looked at directly, forming odd shifting patterns and glyphs in the rings of differently-colored metals. The wide, golden buckle of this belt is inscribed with Thassilonian runes, particularly those of Greed. Its leather is made from the skin of the first Rune Giant. While wearing the belt, you gain advantage on any saving throws you make to resist any hostile spell of the Transmutation school. It absorbs any coins the attuned owner places into it, and can return them at need, and can hold up to 1,000 coins in this manner with no additional weight (this does not count as an extradimensional space). The belt has 10 charges. While wearing it, you can use an action to expend 1 or more of its charges to cast one of the following spells from it with yourself as the target: Jump (1 charge), Longstrider (1 charge), Alter Self (2 charges), Enlarge/Reduce (2 charges), Levitate (2 charges), Spider Climb (2 charges), Fly (3 charges), Haste (3 charges), Water Breathing (3 charges). You may spend an additional charge when casting a spell from the belt to gain advantage on rolls to maintain Concentration. A symbol of power of Karzoug the Claimer, many who see it may be afflicted by a greed for the item and the status it represents, causing them to challenge the bearer for it. The wearer can hear the faint sound of a chiming bell when an onlooker is about to attack to claim the belt, granting Advantage on Initiative. This fifty-foot long, foot-wide ribbon of silk was manufactured by the ancient Therassic monks, and still bears subtle embroidery with images from their school of martial arts, though it has darkened to near-black over the ages. It can be easily wrapped around the body and stays in place, forming loose clothing as placed by the wearer. The wearer has advantage on all rolls to escape a grapple, as the cloth automatically detaches and slips from hostile grasps to make it hard to get a grip upon the wearer. The unarmed damage of the attuned wearer increases by a die size (to a d4 if the wearer does not otherwise have a source of unarmed damage). An attuned wearer who has access to Ki gains an additional point. The ribbon is practically unbreakable, and can be used as rope to climb, tie up an opponent, lash objects together, and the like. It automatically releases when desired by the attuned owner, or when no part of it is within ten feet of the owner. These understated sandals are made of intricately-embroidered silk, with the pattern detailing, in Thassilonian, the entire legal system of Xin. When worn and attuned, you gain advantage on saving throws against any Enchantment effect designed to compel you to take an action that is illegal (including any Geas not applied as a properly mandated punishment). When you are in a direct and immediate foot chase to pursue a fleeing fugitive, you cannot be slowed and ignore difficult terrain. Your steps make no sound, and you have advantage on Dexterity (Stealth) checks that rely on moving silently. When you use the Dash action, your walking speed is doubled for the movement granted by that action, and attacks of opportunity against you have disadvantage on the attack roll. Your walking speed becomes 30 feet if it is not higher, and cannot be reduced below 30 feet by encumbrance or armor. You can jump three times the normal distance (though not further than your remaining movement would allow). Due to its use in the legal system of Thassilon, the attuned wearer gains an intuitive understanding of the legal system of that ancient land, granting Advantage on any relevant rolls. The sandals never get dirty. You gain advantage on all saving throws against spells. You gain advantage on Dexterity (Stealth) checks made to hide (it changes colors to blend into its surroundings). You gain resistance against Cold. After you take Fire, Cold, Lightning, or Necrotic damage, the resistance of the cloak changes to that energy type until you take a short rest or you take another kind of energy damage (after a short rest, it reverts to Cold resistance). You can always breathe, even underwater or in locations where there is no air. By tightly wrapping the cloak around yourself, you may pull yourself and your carried possessions into an extradimensional space. The cloak collapses onto the ground. It is dark inside, and you can hear faintly in the outside world. Because you can always breathe, you are in no danger of suffocating. Whenever the cloak is disturbed, you are dislodged from the plane and refill your space, wearing the cloak. You can exit the plane at will, wearing the cloak in its current space. Those who recognized Karzoug may recognize this cloak as a symbol of his power, and some may take offense at the alterations to it. The material never gets dirty, and is made of some strange transmuted material that grants it many of its properties. This suit of plate armor is made of adamantine: while wearing it, any critical hit against you becomes a normal hit. It is decorated with infernal ornamentation designed to intimidate criminals and enemies of Cheliax. When attuned and wearing the armor, if you have been invested with the authority to wear it by the Hellknights, you have resistance to Fire and gain the benefits of the Devil’s Sight warlock investment (you can see up to 120 feet in darkness, even if it is magical). Celestials will find the presence of this item repulsive. Even moral bearers are provided a subtle temptation to wickedness by the infernal emanations of the armor, which tends to make even the most fair-minded Hellknights overzealous in the enforcement of their duties. This is not helped by the fact that the armor also bolsters the bearer’s self confidence. The first Sihedron Tomes were said to have been crafted by a dragon in the service of Emperor Xin. Each of these books has a unique appearance, and hold an infinite number of pages for spellcasters to inscribe spells upon. The book may only be opened willingly by its owner, and closes inevitably when it leaves the immediate presence of its owner. It can only pass on to a new owner when the old one is slain, or willingly gifted. Unless gifted, the knowledge stored in the book is forever locked away, perhaps destroyed, for its later owners. It comes instantly to its owner’s hands when summoned, and can cross any space or dimension to do so. It cannot be teleported away so easily, of course, but is so secure that its owners rarely think much about leaving it around. Any spellbook-using spellcaster who prepares spells from a Sihedron Tome, which potentially holds libraries worth of arcane knowledge, may prepare three additional spells (or five additional spells if no prepared spells are of schools that oppose any other in the Sihedron diagram; e.g., Divination plus up to three adjacent other schools). Major Beneficial Property: While attuned to this artifact, you can’t be Blinded, Deafened, or affected by Feeblemind. Minor Beneficial Property: While attuned to this artifact, once per day you can use an action to cast Comprehend Languages. Minor Detrimental Property: While attuned to this artifact, any spells you scribe into any other books or scrolls besides this tome immediately fade into illegibility. You may tear pages from the book to create scrolls, but they are recovered into the book whenever you summon it (you must tear them out again, but not recreate them) and will disappear upon your death like its spells. This faintly-glowing tattoo-like rune of Wrath upon your forehead allows you to cast Fire Shield once per day. Additionally, upon your next turn after taking damage, if you hit the target that dealt that damage, you may expend a hit die as a free action to add that die to your damage total (the die only, not the Constitution modifier). Vigilance: As an action, you gain truesight for one minute, and Darkvision to 60 feet (if you do not already have Darkvision). While this is active, you can get a vague sense of any threats in a room on the other side of a wall or door you are touching. Onslaught: As a bonus action, until the start of your next turn increase your speed by 10 feet, gain advantage on Strength checks and Strength saving throws, and 1d10 to melee damage rolls. Wrack: As an action, make a melee attack roll to touch a target. If hit, the target takes 1d10+Cha Modifier Psychic damage and must make a Constitution saving throw (DC based on your Charisma) or be Stunned for one round. Heroism: You are immune to being frightened and gain temporary hit points at the start of each of your turns. The temporary hit points gained are equal to the hit dice you expended. This lasts for one minute and does not require concentration. Fireball: You throw a ball of fire that explodes at a point within up to 150 feet. It has a radius of five feet for every hit die expended (to a maximum of 20 feet). Each target in the radius takes 1d6 damage per hit die expended (Dexterity saving throw for half). The difficulty of this save is based on your Charisma. Fire Shield: You wreathe yourself in hot orange flames or cold blue flames (chosen at the time of activation) that shed bring light in a 10-foot radius and dim light for an additional 10 feet. These flames last for one minute per hit die expended, and this does not require concentration but can be cancelled early if desired. While active, you have resistance to Fire (for cold flames) or Cold (for hot flames). Whenever a creature within 5 feet of you hits you with a melee attack, the shield erupts with flame. The attacker takes fire or cold damage equal to the number of hit dice you expended (based on the type of flames). You also add this damage to your unarmed attacks (including damage dealt while grappling). As an action, you may expend one hit die to cast Alarm, Detect Poison and Disease, Longstrider, or Speak with Animals. I wasn’t thrilled with the Unearthed Arcana implementation of the Mystic Theurge as the Theurgy School for wizards, so this is intended to come at it from the other direction. Certain gods view mystical knowledge as a sacred journey rather than a gift of service. Instead of opening themselves up to all the possible prayers available to their deity, their followers instead write their scriptures down, notate them, and try to glean new meaning from the magical forms inherent in the words of faith. This special form of devotion makes them seem much like wizards to others of the faith, obsessed with books. But it is hard to deny that this obsession gives them access to magic beyond that available to their peers. Unlike other clerics, you cannot prepare spells from the full cleric list. Instead, you maintain a mystic spellbook that contains the cleric spells you know, and you can prepare spells from this book. At 1st level, your book contains five 1st-level spells from the cleric spell list, and one additional 1st-level spell from either the cleric spell list or the wizard spell list. Each time you gain a cleric level, you can add two cleric spells of your choice to your mystic spellbook (each must be a level for which you have spell slots). In addition to the spells you gain from leveling, you may copy spells in the mystic spellbook using the rules for wizard spellbooks on page 114’s sidebar. You can freely copy spells from wizard spellbooks (but must still follow the limitation of wizard-only spells per level) and from either arcane or divine scrolls (as long as the spell appears on the cleric or wizard list) using the rules for copying scrolls. You may copy a cleric spell into the book if you are mentored by another cleric who is willing to explain it to you for the entire time it takes you to copy the spell (the teacher must cast it for you at the completion of the demonstration). The cost for copying in this way is the same as copying from a wizard’s book. While you are not limited in the number of spells from the cleric spell list you can add to your mystic spellbook, for any particular spell level it cannot contain more spells that do not appear on the cleric spell list than your Intelligence bonus (minimum 1): this sets the limits of your capacity for understanding outside your sphere. For example, if your Intelligence bonus is +2, you may copy up to two spells at each spell level that appear on the wizard spell list but not on the cleric list. Using your normal preparation slots (Wisdom modifier + cleric level), you may only prepare spells from the mystic spellbook that normally appear on the cleric spell list. Instead of the normal spells gained from a divine domain, you gain one additional prepared spell per cleric level (maximum of 10) that can be used to prepare any spells in your mystic spellbook. At 1st level, you gain an additional cantrip that can be from the cleric or wizard list (it is treated as a cleric cantrip for you). You also become proficient in Arcana. Starting at 2nd level, you can use your Channel Divinity to exert mastery over the fabric of magic itself. As an action, you present your holy symbol, and all creatures or items with active spells or inherent magic within 30 feet of you acquire a visible, glowing aura similar to what you would see if you cast Detect Magic. This field lasts for Concentration, up to 10 minutes, and travels with you. Anyone seeing these auras who is trained in Arcana (or who can cast Detect Magic) can identify the school of magic for each effect. This effect gains additional powers as at 6th level, as described below. Starting at 6th level, choose one of the eight schools of magic as your focus. The gold and time you must spend to copy a spell of that school into your mystic spellbook is halved, and if you use one of your spell choices from leveling up to pick a spell of that school, you instead learn two spells of that school. Additionally, when you use your Channel Divinity: Mastery of Magic, you may choose to take an action at any point while the effect is active to target a creature or item that is being affected by an effect of your focus school (and which has been identified by the Channel Divinity). The target is treated as if you had cast Dispel Magic upon it. This spell is of a power level as if you had cast it at your highest level spell slot. The Channel Divinity ends upon using this power. Starting at 8th level, you add your Intelligence modifier to the damage you deal with any cleric cantrip. At 17th level, you discover deep secrets of the similarities of magic. On the same round you have used your action to cast a spell from one spell list (cleric or wizard), you may use your bonus action to cast a cantrip upon at least one of the same targets as the spell. You may do this a number of times equal to your Intelligence modifier before completing a short or long rest.